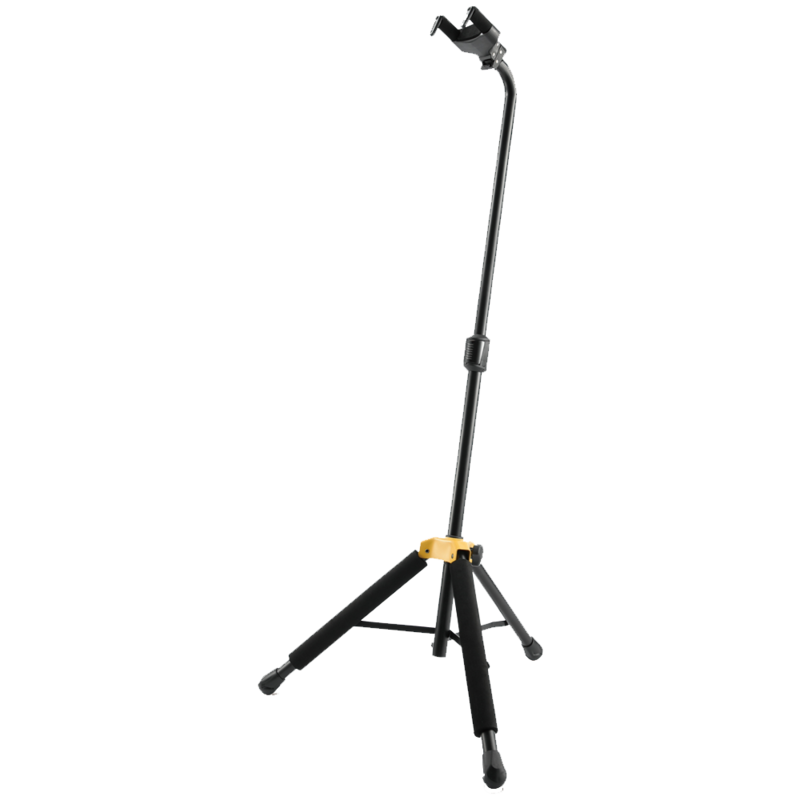 The HERCULES Guitar Stand GS414B PLUS features the upgraded Auto Grip System (AGS) yoke, Instant Height Adjustment Clutch and Specially Formulated Foam (SFF) rubber on all contact points. The upgraded Auto Grip System accommodates a wider range of string instrument neck sizes from 40mm-52mm (1.57 in – 2.05 in). The included NINA™(Narrow Instrument Neck Adjustment) is specially designed to increase the thickness of AGS arms to hold instrument neck sizes as narrow as 28mm(1.10 in). Easier adjustment, the Instant Height Adjustment Clutch with locking pin adjusts stand height in a snap! Stronger grip on surfaces, the upgraded Foot Pads increase ground friction to provide maximum security for your instrument.